Guitarist Patrick Yandall releases new albums with the precision of a Swiss movement. His newest project is entitled 10 South Riverside and produced on his label Zangi Records. On his previous records he collaborated with artists like Randy Brecker, Will Lee, Joel Rosenblatt, Ada Rovatti, Scott Wilkie, Andre Mayeux, and Nathan Brown. Todays Patrick feels comfortable performing and producing his albums himself. So did he on A Journey Home, Ethos and on his new album. Patrick has written all songs on his new album except Breezin’, which was composed by Bobby Womack. Patrick sets a musical monument to the well-known English actor and comedian Rowan Atkinson with Mr. Bean, a gracefully played theme, driving and elegant at the same time. The Samba tune Kona Boy has a certain Mezzoforte flair. He is at home in many genres. He lives his love of music in blues, rock, smooth jazz, contemporary jazz and more. You never know in advance what direction his next album goes. A Journey Home (2017) is Patrick Yandall‘s return to his roots. Patrick has written and produced all songs of the new project. The uplifting A Journey Home has the flavor of a sunny summer day. A hip melody with various instruments involved from guitar, horns to vintage organ. You never get a Second Chance for a first impression, but a musician always get the chance by writing new music. This song offers soul music with a retro savor. Route 56, also known as Kuhio Highway, is the main highway on the north and east shore of Kauai island. Cruising Kuhio Hwy is the aptly hymn for your next drive on this beautiful island. Intimate Request holds your attention for longer with alluring sounds. My Ride has a subtle blues infusion with the ideal connection of horns and guitar. 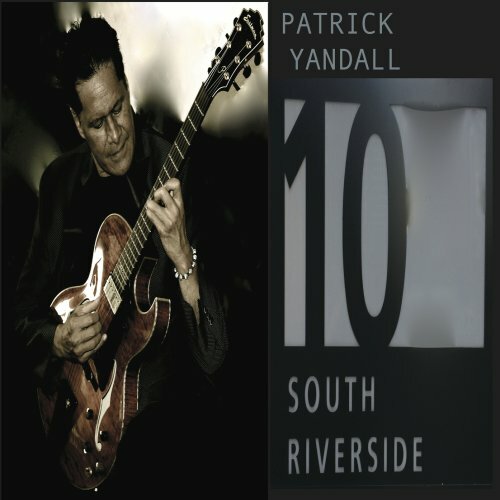 Guitarist Patrick Yandall serves with an amazing constancy and regularity the smooth jazz community with new releases. This year his new album is entitled Ethos. Ethos is the distinguishing character, sentiment, moral nature, or guiding beliefs of a person, group, or institution. The Greeks believed the power of music could alter ones emotions, behaviors and even morals! On his new album Patrick is performing all instruments and has written all tracks. He also recorded and mastered the complete album at MoBop Studios San Diego. Good music doesn’t need a special place and when Patrick calls the starter Peytons Place, then just to give the film in your head some nutrition. The tune is obviously influenced by Weather Report’s Birdland. Based on a flowing rhythm Patrick creates a guitar whirlwind on Ethos caring for much atmosphere. Biggah Mo Bettah provides funky guitar voicing and textures in the style of Brothers Johnson. Carlos Santana’s Europa meets Wham’s Careless Whisper to Say Goodbye. Pure emotion. 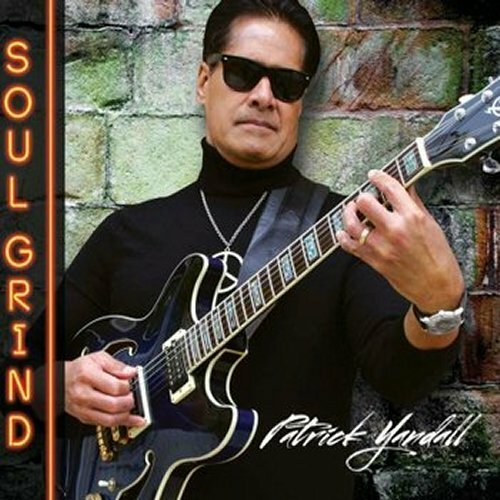 Smooth jazz with contemporary elements featuring the guitar of international recording artist Patrick Yandall. R&B, blues, Latin, soul, gospel, all pepper this fantastic project. 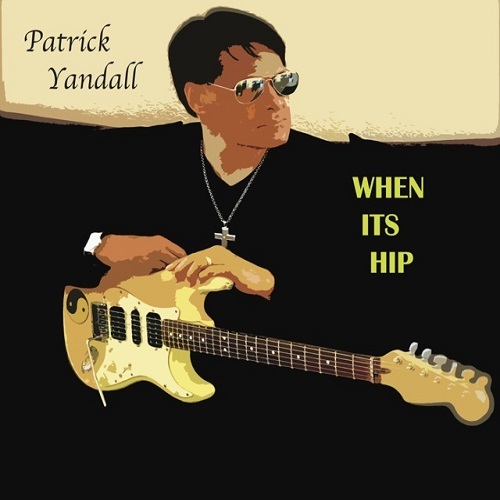 Produced, written, arranged and all instruments performed by Patrick Yandall. Even the graphic design by him! Rhapsody calls him “a middle of the road guitar god”! And it shows on this collection of 15 original compositions! Award winning prolific guitarist (19 releases worldwide) with music in feature film “Fruitvale Station” “War, Inc.” and more. TV shows like “New Girl” “Girls’ Industrial Channel and many more shows. TV radio such as Music Choice, and heard worldwide on SmoothJazz.com,, Sonic Smooth Jazz on Dish, The Weather Channel. Has performed live or in studio with top world class musicians such as Randy Brecker, Will Lee, Joel Rosenblatt, who appear on Patrick’s CD “From the Ashes”. Michael Paulo, Greg Vail, Kevin Flournoy, Nathan Brown, and many more! Endorsed by worldwide guitar companies such as Seymour Duncan, Elixir Strings, Levy’s Leathers Ltd., Custom Tones Inc., and more. Headliner for jazz festivals and concert venues. Featured in Jazz Times, Jazziz, Smooth Jazz Magazine, San Diego Reader, Bay City Times, 92131 and many online features. Jazz, rock, blues, Latin, gospel, with smooth and fusion flavors! Nominated Jazz artist of the year by Lifeswork Entertainment. Ethos is his new album now on sale at CDBaby. Patrick Yandall just released My Christmas Prayer. Jazz, Soul, Gospel, R&B, and Blues flavors spice up this new release of originals and classics! 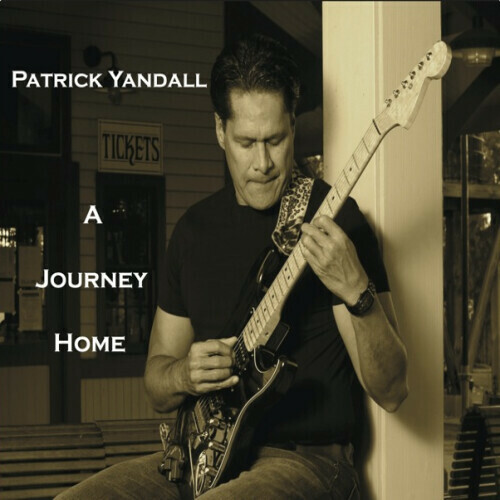 All instruments performed by award winning national recording international artist jazz guitarist Patrick Yandall. Five original compositions by Patrick capturing the flavor and feeling of the holiday season like “Winter Is Here”! Covering classics like R&B favorite “This Christmas”, a funky version of “Little Drummer Boy” with an AWB vibe, and a gospel blues version of “Amazing Grace”. Finishing off with an solo acoustic masterpiece “My Christmas Prayer” the title track. “The First Noel” and “Winter Wonderland” are covered with a beautiful arrangement of musical colors! All of these tracks pay reverence to the season and the subject matter. With 17 CD’s released on various labels over the years, this veteran guitarist shows his versatility and melodic sense. Endorsed by many major musical brand names he brings his virtuosity, arranging, and engineering talents together for this wonderful collection of tracks for this festive Christmas Season! Get it now at CDBaby. Patrick Yandall has already given in the past many examples of his unwavering creating power testified by the long list of reviews. Links can be found under Additional Information. This year he brings us a new smooth jazz album, Soul Grind. Regularly Patrick performs with Nathan Brown (Bass), Tony Lee (Drums), and Kevin Flournoy (Keys). But when it comes to recordings he prefers to do his own thing. With the exception of three covers he has composed all tracks on the new album. Of course you realize the experience gained by Patrick due to his many recordings. The deliberate and pondered way of guitar playing is unmistakable in My Lady. Soul Grind reflects his live performance, especially appreciated by friends of smooth jazz in the San Diego area.